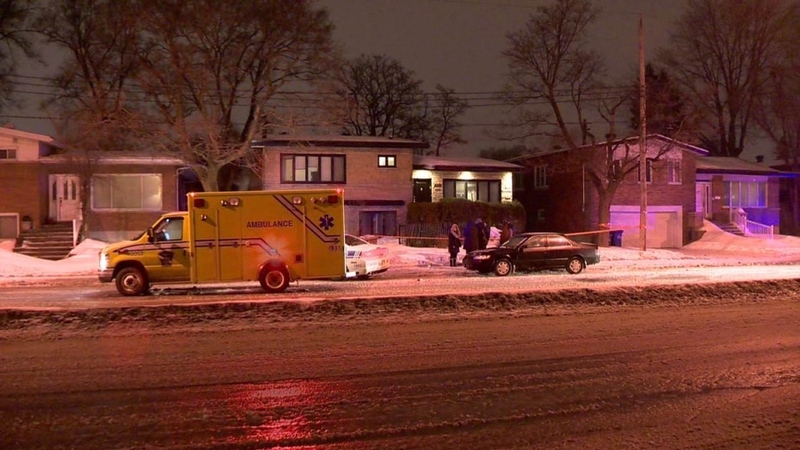 Two people were found dead in a home on Cavendish Boulevard in Cote St-Luc Wednesday night. Police and firefighters suspect that the elderly man and woman may have died from carbon monoxide poisoning. The couple's son asked authorities to investigate, and firefighters arrived at the scene at just after 9 p.m. Once inside the bungalow, they discovered both bodies in an upstairs bedroom. Emergency crews also noticed a strong odor of gas inside the home, and in the garage, they found signs that a car had been running for quite some time. The car, they say, appeared to have run out of gas. The deceased are an 88-year-old man and an 84-year-old woman who have been identified by family members as Roger and Simone Banon. The couple's niece told CTV News that what happened is a tragic accident. Yvette Golbert said the couple drove home Tuesday evening and after parking their car in their garage, failed to turn off the engine. "My aunt came two nights ago. She forgot to close the key of the car, she forgot to close the engine, so carbon monoxide went into the house and we found them [Wednesday] night. We called, we called, they never answered. And finally my cousin came and he found them dead," she said. 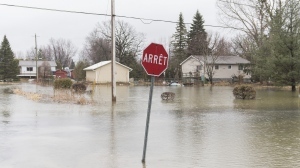 After conducting an investigation Montreal police do not believe this was a criminal act. The case has been turned over to the coroner's office, which will continue the investigation. A similar situation happened in Pincourt in 2016, when a person came home, parked their car in a garage, and did not correctly turn it off. In 2010 five people were poisoned by carbon monoxide after a car was left running in a Quebec City garage. In the United States, several lawsuits have been filed against car makers related to keyless ignition systems, alleging consumers weren't properly warned about the risks of push-button car starting systems. Mechanic Adriano Colafabio said he hears similar stories on a regular basis. "You can accidentally not push the button, or not push it hard enough, and you can get out of the car with the key in your hand but the car is still running and will remain running," he said. "A lot of models, the cars are so quiet that you can't even tell the car is running." Montreal fire department spokesperson Louise Desrosiers urged Montrealers to ensure they have working carbon monoxide detectors installed in their homes. "It's a new bylaw, actually, that even if your house was built 50 years ago, now you do have to put one in each house," she said. An investigation is underway after two people were found dead in a home on Cavendish Boulevard in Cote St-Luc Wednesday night.